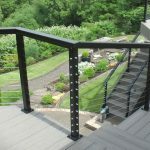 Top rails not only complete your railing frame, but can also act as the cherry on top of a beautiful system. Choose a rail that matches your posts for a cohesive look or opt for something completely different to increase visual intrigue. 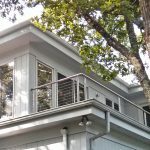 We offer four top rail options: Rectangular Aluminum, Shaped Aluminum, Round Stainless Steel, Rectangular Stainless Steel, and Rectangular Wood. 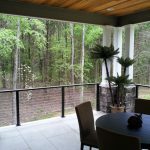 Our aluminum top rails are made with the same material and colors as our posts, and are available in two designs: rectangular and shaped. 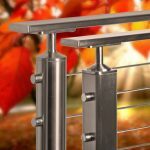 The rectangular top rail offers a classic shape that perfectly matches our square aluminum posts, while the shaped option adds a touch of rounded smoothness that practically begs your hand to run along it. 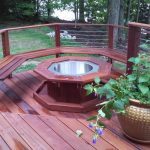 Our round stainless steel top rail perfectly matches our identical round stainless steel posts and can also be used to soften a more angular post shape. Lastly, we offer a gorgeous and strong Ipe wood top rail. Combine this rich top rail with our ipe posts for a pure wood frame or use it to accent metal posts. Browse the categories below to find the right top rail for your project. Visit our GALLERY for visual inspiration or our LEARN MORE section for additional information on these material options.